Preventive screenings for your cat may not be the first thing you think of when you bring your new pet home. I know that the first things I thought of were food, litter box, cat litter and a few catnip toys. Remembering to take your cat to the vet to screen for potential health problems is just as important as picking the best food for them. 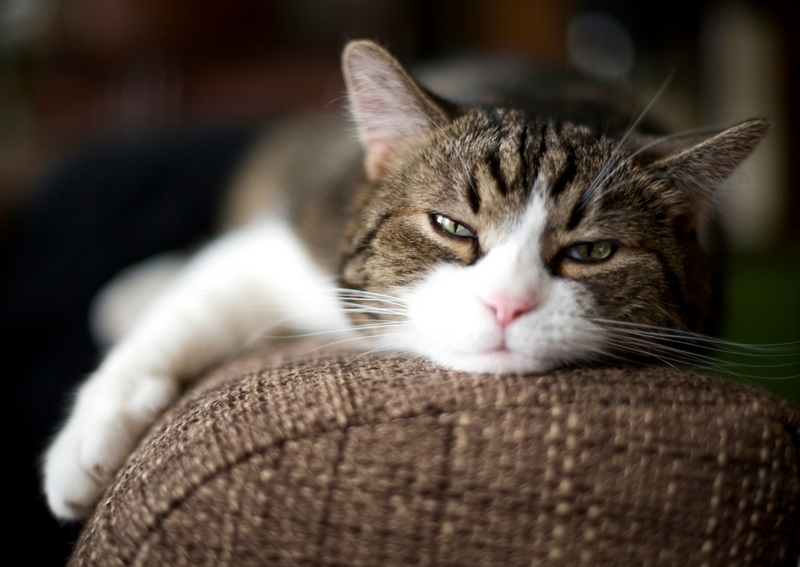 Did you know that Kidney disease is one of the leading killers of cats? One of the scariest things about kidney disease is that cats with chronic kidney disease often show no visible signs of being sick in the early stages. They can appear perfectly fine and healthy. That is what makes a diagnosis so tricky until the later stages. You should have your pet screened annually for chronic kidney disease (CKD). Cats hide disease. They don’t come with a “check engine” light or an alert system that provides a notification when something is awry – and will typically show no signs of illness until their kidneys have lost most of their function. As cats age, the likelihood of developing kidney disease increases. In fact, more than half of cats over age 15 are afflicted. Now IDEXX SDMA, a breakthrough test that screens for kidney disease, can detect this serious disease months to years earlier when there is still time to do something about it. This is great news for cats, as IDEXX SDMA can detect kidney disease when much of a pet’s kidney function is still intact. It's so important that we make an appointment at the vet to get this important preventive screening. This screening is available to all veterinarians. Please be sure to ask your vet about this test at your cat's next appointment. It's better to know that your cat has kidney disease now, so you can do something about it than wait until they are older and have begun to show symptoms of the disease. Love your pet? Love her kidneys, too – take your pet to the vet and get the IDEXX SDMA™ screening test. Connect with the brand on Facebook. Learn how to take care of a sick cat. This is a sponsored conversation written by me on behalf of IDEXX. The opinions and text are all mine. People seem to forget that pets are part of the family. Just like humans, should always practice prevention! It is so important that we take care of our pets for sure. Their health matters too! We love our cat so much. She has her checkups every year. We do our best to do preventative screenings. I think preventative screenings for any pet is an important thing! We do it for ourselves and our family, why not do it for our loved fur children? I have two cats and never realized that kidney disease was such a huge issue! Thanks for sharing about this. I’ll have to talk to our vet! I’m so glad that we are seeing better testing for Kidney Disease in cats. So many cats are affected! My cat Manna was tested with the IDEXX SDMA test in early July. Her kidneys are looking great and it feels great to know she’s healthy with this much certainty.